Get all the GTA 5 cheats you need right here. We've got all the GTA 5 cheats for the PS4, Xbox One, PC, Xbox 360, and PS3 versions of Rockstar's GTA 5. If you've ever played a GTA game before, you'll know that there's a lot of fun to be had with cheats. GTA 5 is no exception, as there are many brilliant and hilarious GTA 5 Cheats to try out. First though, you'll need to know the GTA 5 Cheat Codes to put in. Luckily for you, we've collected them all in one handy place. This includes the GTA 5 Money Cheat, the GTA 5 Weapons Cheats, the GTA 5 Health and Armor Cheats, and more. We'll also lead you through how to use cheats in GTA 5, and take a look at how to make money quickly using the stockmarket. How do you Enter Cheats in GTA 5? GTA 5 Cheats: The submerged hidden item here is worth $12,000 each time you pick it up. Choose the two characters who you'd like to make rich. Drive one to each of the beaches closest to the locations marked on the maps above and below, swim out to sea and dive when you reach the marked location and look for the underwater wreck there. Once you've found both, locate the glowing briefcases: the first is close to the airplane on the sea floor, and the second is on the wreckage, near the open hatch. The moment you swim up to an item and are credited with recovering the money, immediately switch to the other character and find the item at that location. In similar style to the first character, swim up to the item, and the moment you're credited with the money, switch back to the other character, who can grab the money that has now respawned in the prior location. Now you can switch back and forth triggering this same effect repeatedly until you generate however much money you want. 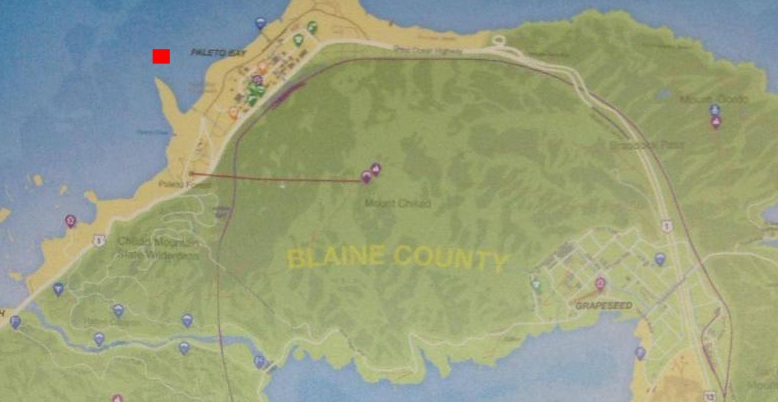 GTA 5 Cheats: Here's the second location, where the item is worth a cool $25,000 per grab. Now you're rich, save your game and enjoy your ill-gotten gains. However, if you're feeling lazy and just want to have some fun, here are a bunch of GTA 5 Cheats that let you do everything from spawn vehicles to immediately lower your wanted level. These classic cheats have been in GTA games forever, and GTA 5 is no exception. As always, remember that the moment you use one of the codes listed below, achievements are disabled, and you're credited with using a cheat until you reload the game. GTA 5 Cheats can get you the fastest cars instantly! 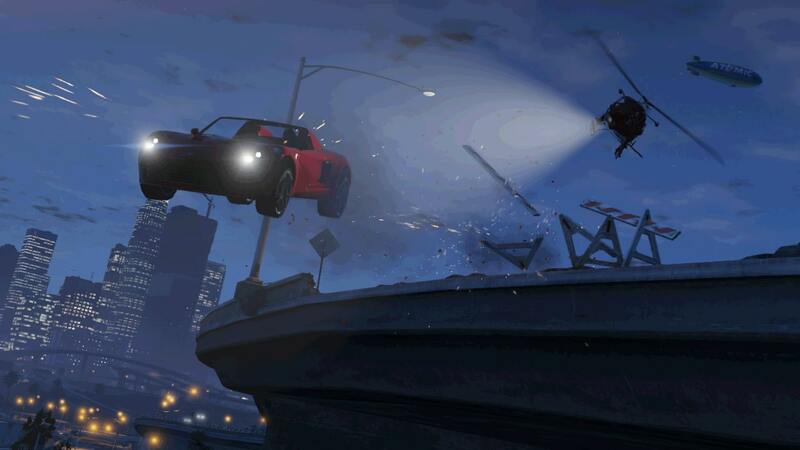 We reckon it's worth using these GTA 5 Cheats, though, as they make the game so much fun. Whether it's a GTA 5 weapons cheat, a GTA 5 invincibility cheat, a GTA 5 wanted level cheat, or a bizarre GTA 5 low gravity cheat, you're going to have a good time. If you've just picked up GTA 5 (lots of you are still buying it, years after its release) these are the GTA 5 cheats you need, for PS4, Xbox One, PC, PS3, and Xbox 360. Unlike a lot of games, there's no cheat entry screen in GTA 5. To enter a cheat code in GTA 5 on PS4, Xbox One, PS3, or Xbox 360 you simply have to enter the command where you stand. To enter cheats codes for the PC version of GTA 5 you have to do something a little different, but we've got the details below the cheats for the console versions of the game. 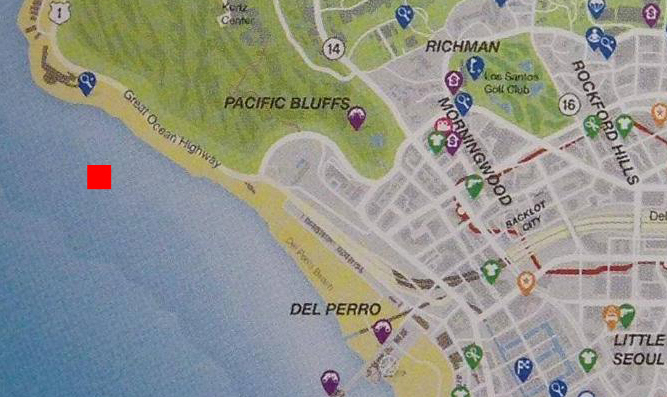 There are an awful lot of GTA 5 cheats. So many in fact you could spend an entire day just messing about and testing each one of them out. If you'd rather just know what the best GTA 5 cheats are, we've compiled a neat list for you so you can get on with having fun. Simply search this page for the name of the cheat and you'll find instructions on how to activate it on PS4, Xbox One, PC, PS3, or Xbox 360. Explosive Rounds - Like the name suggests, this cheat will turn your bullets into explosives. If you ever wanted to blow up a plane with a single shot from a pistol, this is the GTA 5 cheat for you. Invincibility - Not much of an explanation needed for this one. If you want to cause mayhem on the streets of GTA 5, but don't want to get killed by cops, this is the cheat you need to activate. Lower Wanted Level - All that invincible mayhem is likely to raise your wanted level, so thankfully there's a cheat to lower it. Super Jump - If you ever played Hulk: Ultimate Destruction on the PS2, this cheat will bring back some fond memories. Spawn Buzzard Attack Helicopter - Sometimes you just want to blow stuff up, and this powerful armed helicopter will let you do that from the skies. Note - Xbox One/Xbox 360 GTA 5 cheats are below this list. Scroll down to find them all. PC GTA 5 cheats work differently to how cheats are entered on PS4 and Xbox One. First you need to bring up the console by hitting the tilde key "~". Then type in one of the codes listed below and hit the Enter key. This is hands down the funniest Cheat in GTA 5, as it will cause your character to become immediately drunk. We've listed exactly how to access this cheat below, for PS4, Xbox One and PC. Conversely, if you wanted to rile up the LCPD, we have a cheat for that as well. Just enter the cheats listed below according to the platform you're on. 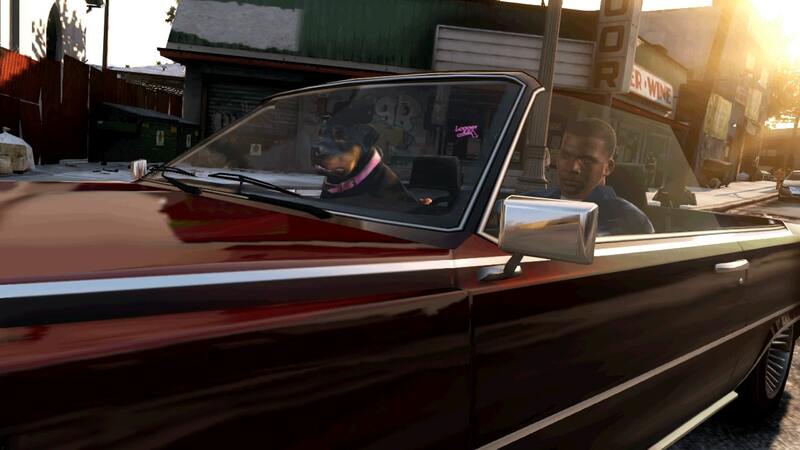 There are a few cheats in GTA 5 which allow you to apply certain changes to the character you're playing as. Here's all of the GTA 5 Player Effect Cheats. That's your lot with regard to GTA 5 cheats. If you want more GTA 5 goodness, though, elsewhere on USG we've got guides covering how to make the most out of the stock market, and all the info you need on GTA Online Gunrunning. For cheats related to other GTA games, check out our GTA San Andreas Cheats, and our GTA Vice City Cheats. If you're after GTA Online tips instead of GTA 5 cheats, head on over to our GTA 5 and GTA Online Guides Hub. Over there you’ll find info on GTA Online Heists and GTA Online Gunrunning. We've also got a look at all the GTA 6 rumors. Tagged with Action,	Cheats,	Guides,	PC,	PlayStation 3,	PlayStation 4,	rockstar,	Rockstar Games,	Xbox 360,	Xbox One.